The Egremont hotels listed below are either in the town or we have given a rough guide as to how far they are from Egremont. We hope you enjoy your stay and find your ideal accommodation. The luxury of this hotel makes it an ideal base both for families and those seeking an enjoyable romantic weekend Whether you are visiting the area on business or pleasure you cannot fail to be impressed by its beauty. The Ennerdale Country House Hotel is a Grade two listed building set within five acres of tranquil landscaped gardens and Italian fountains and figurines. Whether you are here for business or leisure the hotel is an ideal base for visiting the many attractions of the West Coast such as the stunning Lake District and the beautiful seaside town of St Bees. Each of the 30 individually designed bedrooms has satellite TV, telephone, tea/coffee making facilities, writing desk and hairdryer. Dining is available in the Fountain Room Restaurant which overlooks the landscaped gardens and offers a wide selection of fine dishes from the extensive á la carte menu. WiFi is also available throughout the hotel. Station: WHITEHAVEN. 8miles. From M6 Junction 40 (Penrith) follow A66 West to Cockermouth. At Cockermouth join A5086 to Cleator. The hotel is situated 12 miles from A66 ON A5086 on the left hand side of road. 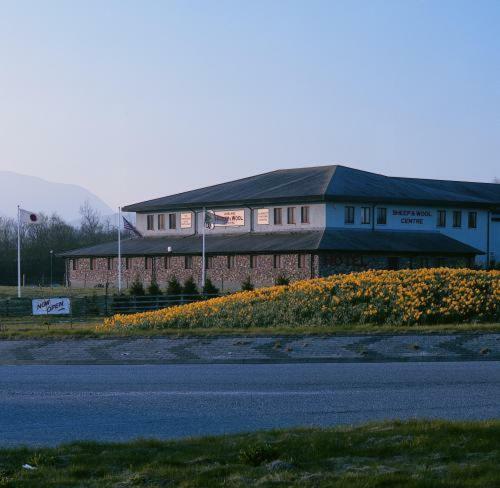 On the edge of the Lake District, Shepherds Hotel offers a modern bar, ample free parking and spacious rooms. The centre of Cockermouth is just 1 mile away. The friendly Shepherds Hotel features rooms with Freeview TV and tea/coffee facilities. For hotels accommodation in other areas near to Egremont Cumbria see Bowness on Windermere hotels Frizington hotels & Whitehaven hotels.